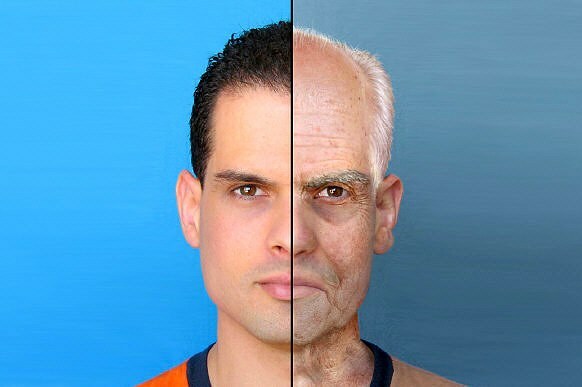 How many people live so many years and changed his face. The rise and decay of the face is a natural process and, unfortunately, inevitable. But you can prevent premature aging. Scientists propose different age groups, types, stages of these metamorphoses. Major life milestones the same: youth – maturity – old age. If the youth and maturity of the facial features long enough stable, in childhood and old age they undergo a fundamental change and transform the whole appearance of a person. Skin. This is, perhaps, the first thing you usually notice looking into the face of man. The children she is gentle, very subtle, pink due to the proximity of blood vessels, perfectly retains moisture. If your child's skin to take in the crease, she quickly straightened. Gets thicker layer of subcutaneous fat and the skin that gives it elasticity. But subtle signs of aging appear in it after 23-25 years. So, in young and Mature age, to skinfold finished completely, it will take some time. Women quality leather is very influenced by estrogen. After 30-40 years the level of this hormone starts to decline gradually, and the dermis becomes dry, a bit sluggish, the longer the healing. More prominent creases at the corners of the mouth, "crow's feet" at the outer corners of the eyes and nasolabial folds. There are small vascular "stars", sometimes the fuzz on the upper lip. After 50 years a layer of subcutaneous fat and the skin again becomes thinner. It can not good to retain moisture and becomes dry. In his old age, so the skin loses its firmness, skin folds, wrinkles do not deal. Further – more, the cheeks SAG, wrinkles increase, especially under the eyes. Becoming more loose skin of the neck. With menopause begin to appear dark spots, sun and cigarettes multiply them. Muscles. Amorphous baby, over the years they develop a young age and gradually give your face some texture. Rounded face baby stretches and becomes oval. Muscles provide the young and Mature man with a wealth of facial expressions. However, with age, not only biceps, but also the facial muscles gradually melt away. Their tone is reduced, and wrinkles subside deeper, and the corners of her mouth sank lower. Are stronger cheekbones. Jaw SAG, many of the hated "double chin". Facial bone skeleton. Admirable as were the muscles and the skin, the appearance of a person is determined by the development of the bones of the face. Throughout life they change their form, shift. So, with age, become larger than the eye socket. Because of this, the corners of her eyes expanding network of "crow's feet" and drops lower eyelids. And because of the shift of the bones of the brow on the forehead there are new wrinkles. Old face bone changes and the lower half of the face. The nose is slightly longer and slightly sharpened. Cheeks SAG, the skin of the chin and the neck shrinks, the oval loses its former shape. To 50-55 years in the face usually increases slightly in width. Changed and their profile. Facial features change drastically with the loss of teeth. If they do not replace the prosthesis, wear of the alveolar arc of the jaws. Then the nasolabial folds are particularly sharp, and the lower part of the face shortens and bulges forward. In addition, in old age due to the loss of hair dramatically change the boundaries of the line of their growth. 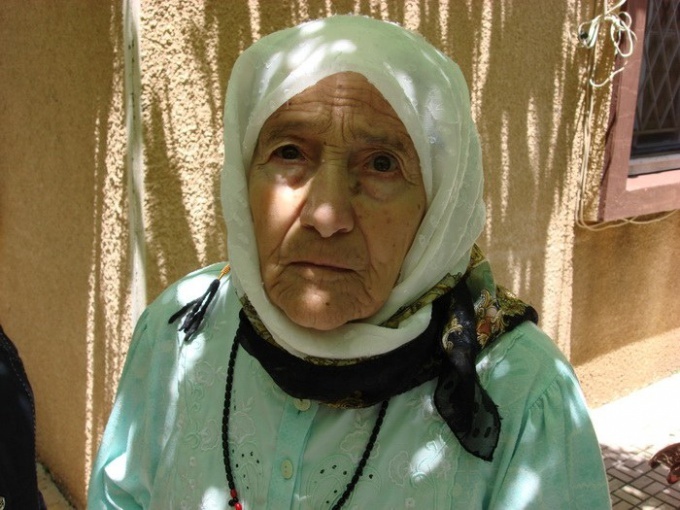 Graying eyebrows increase and visually close to the eyes, looming over them. Iris eye fade, and the majority of very old people the eyes are the same grayish or grayish-blue. And the cornea may appear "senile arch" – a round whitish-gray Corolla. Due to the small growth of cartilage in some people a little longer be the ears. Often they begin to grow coarse hair. Finally, the lips become thinner and red border is barely noticeable. Most of the visual age-related changes in the faces of the women is in a period of 35 years until after menopause. Men, however, this fate usually befalls later from 45-50 years to venerable old age. Even a small shortage of vitamins, trace elements harmful to the skin and can cause peeling, redness, itching, inflammation. The skin is prematurely aged, avoid sunburn, use sunscreen= wear hats. Quickly ages the skin and dehydration. Regularly use moisturizing lotions. Try not to use Soaps that are dried (for example, "Child") and that too scented. Everyone grows old in their own way, but for different age periods, we find several characteristic features. Knowledge of these features helps artists and ordinary people who want to learn how to determine the age of the eye. The final formation of the skull ends by age 14. After that, the face starts to lose its baby softness, his features sharpened. Boys may appear first fuzz on her face and Adam's Apple growing. 20 years jaw, jawline and forehead become more pronounced, and the nose gets rid of the teenage roundness. Shaped the nose, the skin thickens and loses its baby softness. Already at this age may appear small wrinkles. All the kids like each other, but with age in the face of evident traits, influenced by genetics and nature. In the period from 20 to 30 years is the formation of the face. Cheekbones, chin and jaw become more prominent. Face is a little coarse, a sharp definition of its contours. Previously little noticeable wrinkles become more pronounced. During this period, the formation of a person is influenced by the nature of man - his features and facial expressions literally reflect not appearance. Eyes look deeply planted more than 20 years. Men may notice signs of baldness. With 45 years on the man's face clearly reflected the signs of aging. The forehead, the eyelids and the corners of the mouth is covered by the mesh of wrinkles. The skin on the jaw droops a little. There may be a second chin. Oval face softened and becomes less sharp. Whiskey and the area of the eyeballs, on the contrary, become more defined. Both men and women appears gray. In 45 years, many began farsightedness, need glasses. The aging process largely depends on heredity and lifestyle. Someone is turning gray already 30 years, and someone wrinkles appear only after 50 years. By this age, the wrinkles are visible very clearly. There are bags and circles under the eyes. Hair become thinner, many men are completely bald. Sharpened nose bridge and eye area. The eyes themselves are planted deeper. Are sharper eyebrows. The skin droops and thins, through it you can see a relief of the skull. Upper eyelids, cheeks and earlobes become more fleshy and lose sharpness. With 80 years face completely covered with wrinkles. Eyes become smaller due to sagging upper eyelids. Lips look thinner, they also cover the wrinkles. Cheeks SAG even more, and cheekbones become sunken. The nose elongates, and its silhouette looks more sharp and bony. Wrinkles deepen even more. Hair is completely gray and thinning. Age-related changes of the face — not the most pleasant process. It is associated with the deformation of the facial muscles and skin aging. This process can be slowed down, but completely stop it will not work. In humans, there are 57 facial muscles. They change, shrink and deform with age. These changes affect the position of the lower jaw, pull the middle of the face, thinner lips. Muscles lose their tone, relax, and just can't resist gravity. The processes occurring under the skin, appear on the face gradually. First, the skin gradually begins to slide down, the muscles of the forehead relaxed, lose the tone of the circular muscle of the eye and surrounding tissue. This causes the swimming of the upper eyelid that makes the eyes small and hard. After the muscles of the cheeks and eyes, where the muscles of the face and keeps, lose shape, appear age "bags under eyes". Unfortunately, even the muscles located on the nose, can lose tone, which leads to the fact that your nose spreads, it becomes more. As slipping of the muscles of the Central part of the deepening wrinkles running from the nose to the corners of the mouth. When the tone lose muscles of the cheeks and chin, from the corners of the mouth down down wrinkles and relax the muscles of the cheeks forming the "bulldog cheeks". Lost tone the muscles of the neck pretty soon form a second chin. Such changes can be combated with the help of massage, cosmetic treatments and surgeries. 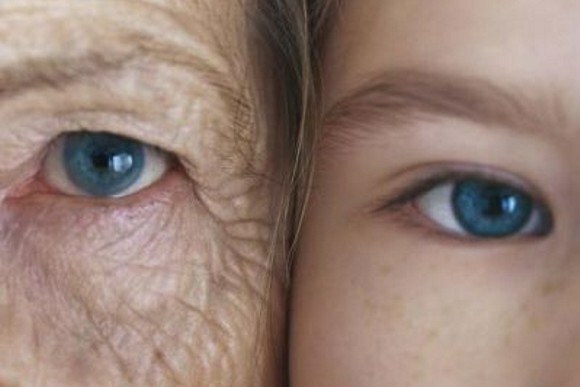 Unfortunately, aging affects not only the muscles but the skin. With age the outer layer of skin (the epidermis) thins markedly, while the number of cell layers remains the same. Connective tissue weaken, reduced elasticity and turgor of the skin. Reduced the number of cells that contain pigment, which is why aging skin may look transparent and fragile. Blood vessels become much more fragile and very easily damaged, causing bruising and bruising under the skin's surface, which can be very noticeable on the face. Such injuries remain visible for much longer than young skin, because the ability to regenerate with age fall. Sebaceous glands with age produce a lot less sebum, which explains the dryness of aging skin. A lack of sebum, increased dryness of the skin worsen wrinkles on the face. In men, this decrease occurs only after eighty years, it is then appear the wrinkles. Women have the amount of sebum decreases after menopause, which explains why age-related changes on the women's faces become visible much earlier.